Rocket Matter Knowledge Base Billing by Matter How to resend an invoice. 1. 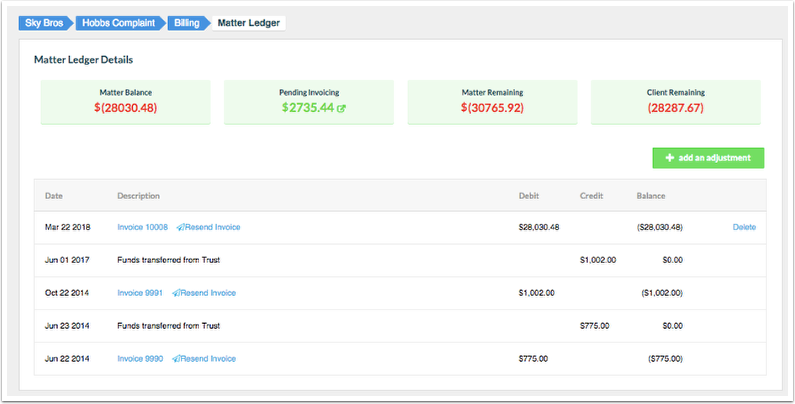 Navigate to the matter dashboard you'd like to resend an invoice for. 2. 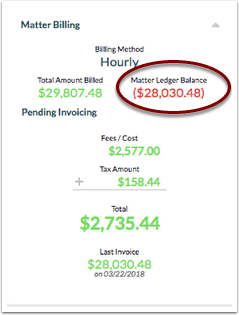 Click on the matter ledger balance. 3. Click 'Resend Invoice' next to the invoice number you'd like to re-send the invoice to via email. Note: If you don't have Advanced Invoice Sharing enabled in the matter you won't see this as an option. Follow the Advanced Invoice Sharing FAQ to learn how. 4. You'll see a check mark confirming the email has been resent. Prev: How to run an unpaid invoice statement for a single matter.